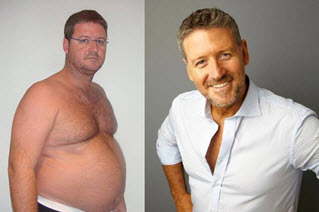 If you’ve watched ‘Fat Sick and Nearly Dead’ then you will know about the phenomenal results Joe Cross achieved in going on a 60 day juicing fast. If you haven’t seen this documentary then I highly recommend it. Well worth a watch. Joe was 100 pounds overweight and suffering from a serious illness, which caused him to take medication every day to keep it under control. After the 60 days of juicing, not only had Joe dropped over 80 pounds – not really that surprising given the drop in calories – but more importantly he was able to stop taking his pills for his auto-immune disease, such was the positive effects on his health and immune system. Joe Cross(above), before and after. 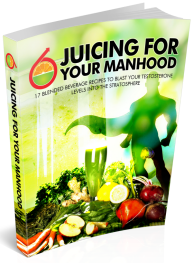 If you do a little research online you’ll come across countless tales similar to Joe’s epic juicing journey. The body has an amazing ability to heal itself which I believe is the greatest thing about juicing. Given the optimum conditions, ie. not stuffing your gut full of fatty, processed foods and replacing those with nutrition filled juices, any disease can be either totally cured or at least improved upon. Besides the benefits to your health that juicing on greens and other fruits and veggies can do there is the obvious affect on your waistline. Below you will find a few of the main reasons why juicing is so healthy and have you looking slimmer and bursting with life if you stick to it for a prolonged period – either juicing over more than a day or two or incorporating one day of juicing once per week over a few months. Juicing – or juice fasting – gives us the opportunity to consume a large amount of fruits and vegetables at one sitting. Juice enthusiasts will regularly buy pounds of healthy produce every day from the green grocers – far too much to actually or comfortably be eaten. Juicing though makes this all possible. The nutrients from the juices are rapidly absorbed into the blood stream giving the body much needed nutrition. In today’s world of fast foods and sugar laden processed meals the body is generally starved of the nutrients it needs to keep us in good health. This downturn in nutrition levels doesn’t apply to all of us but given the obesity levels in the U.S and throughout the western world, it definitely has become a major problem. Juicing also offers us a much wider array of fruits and vegetables that we would have when we sit down to our daily meals. Think about it, most of us make our salads from the same variety of fruits and vegetables. We can even incorporate foods for juicing that we wouldn’t normally eat. The cleansing effects of juicing are renowned, especially green juices. The green variety – especially broccoli, kale and spinach – contain high levels of a phytonutrient called chlorophyll which helps removes heavy metals and toxins from the body. My own experience of juicing is that when I either go on a fast, or when I’m regularly juicing throughout the week, I feel lighter, more vibrant and have a clarity of mind that I don’t normally experience. It really is true that we are, or become, what we eat. Put the right stuff in and we reap the benefits. Please leave your questions or comments below.